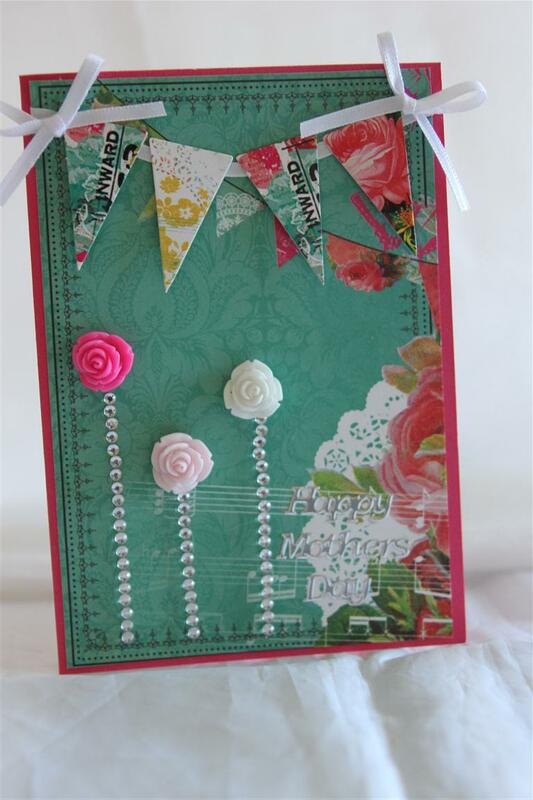 This card came about at the end of a productive card making session, when I had lots of strips left on the desk, and so I turned then into long banners,and added a collectable from the matching kaisercraft secret admirer range across the top. 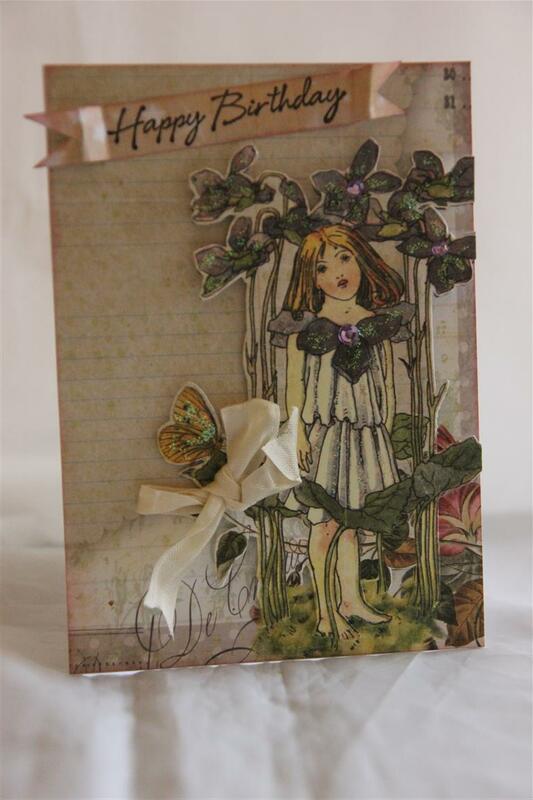 the papers are all from the 6″ pad, and I added some gorgeous kaisercraft flowers, a punched butterfly, bling strip and pearls to finish.Still have more cards in this series to show you, but I think tomorrow we will take a break and move onto something else for a few days.I have had a lovely day off work, and spent a few hours in the craft room. I have lots of ideas buzzing around, and can’t wait to get back in there to create some more! Til tomorrow…. I am sorry I have been a bit of an erratic blogger this week, but we have had terrible trouble with our internet provider. hopefully its all sorted now, and here we are with todays post! 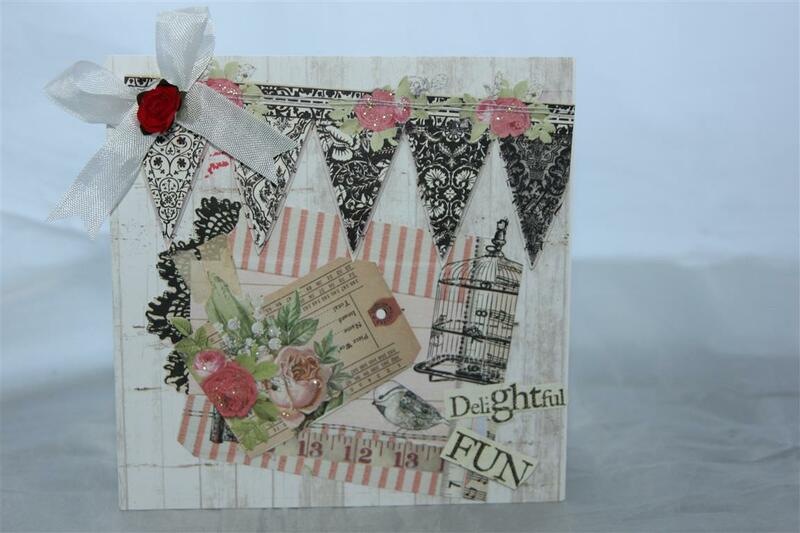 Still using Kaisercraft Secret admirer collection, and I made a banner to go across the top, tied with pretty white bows. I used kaisercraft bling strips as flower stems, and some kaiser craft resin flowers – I love these! 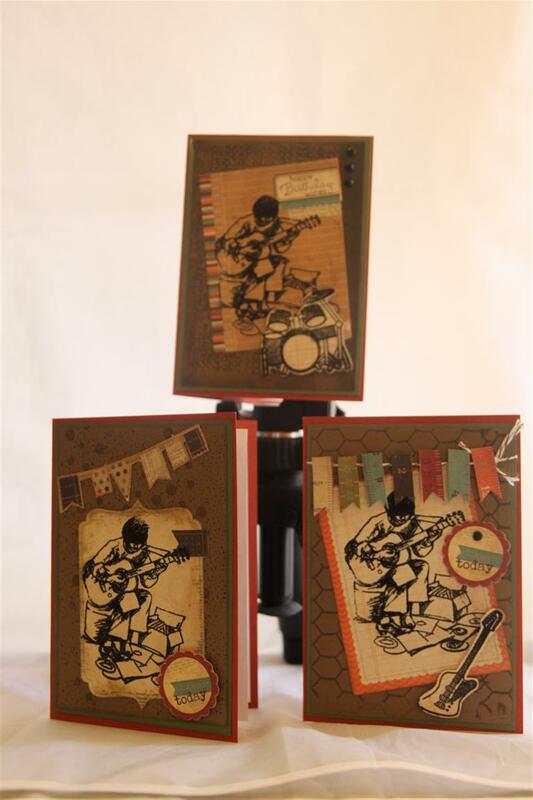 The cardstock is stampin Up melon Mambo. I have been busy in the craft room this week putting together a 20 card order, but that’s done now, and I am going to find my graphic 45 songbird collection and make some cards with that, I barely touched it when I first got it, so can’t wait to really get stuck into that! Til tomorrow…. I think out of all the cards I am asked to make teen boy cards are the hardest, so over the next few days I will show some deigns I have been working on which should covers all the bases! Of course if they are into sport it’s not so hard, but nowadays there doesn’t seem so much sports played, sad really…. anyway … I am sure you have seen me use this stamp before – it’s from a great papermania (Nostalgia) set which also has a lot of sports images on it, and I have teamed it with a guitar stamp and drum set stamp that I have had for so long I can’t remember the brand name but Snag em rings a bell.The paper I have used is from a great 6″ pad called Year – o- graphy by Simple Stories, the patterns are great for these designs. 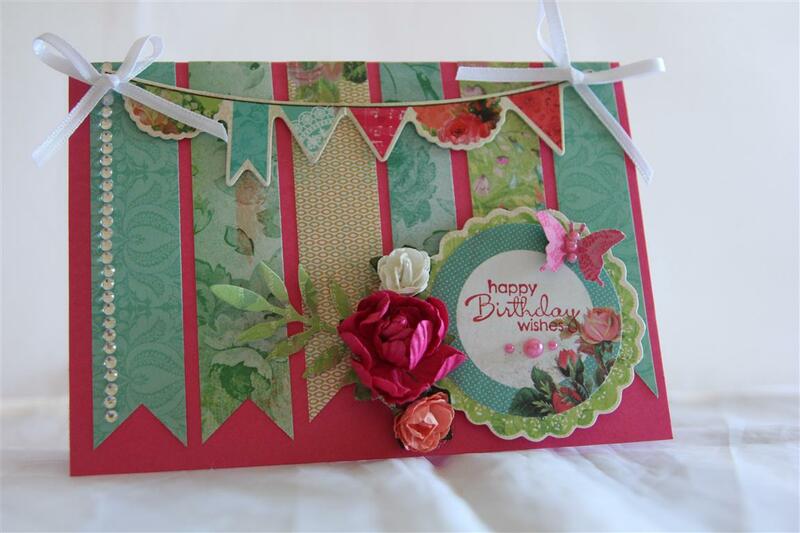 I have cut assorted banners, and used bakers twine and brads for texture.The cardstock is Stampin Up Soft Suede and cajun craze – a colour I don’t use nearly enough. One last push tonight on the orders that keep coming through, and then back to lesson planning…. Til tomorrow….